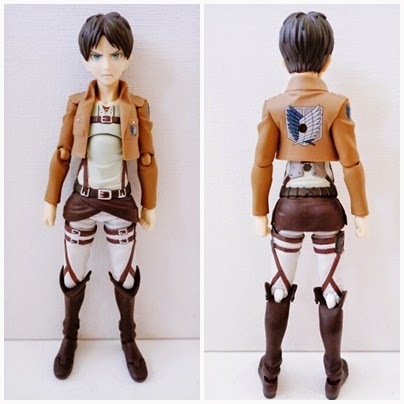 Once more figma have done a great job bringing the two dimensional into the three, Eren looks just as good in figure form as he does in the anime. He is tall for a figma and slender however this does not hinder his ability to stand on his own two feet which is great as past figures with a similar build have been a struggle. Figma really have been refining their sculpts which is great. 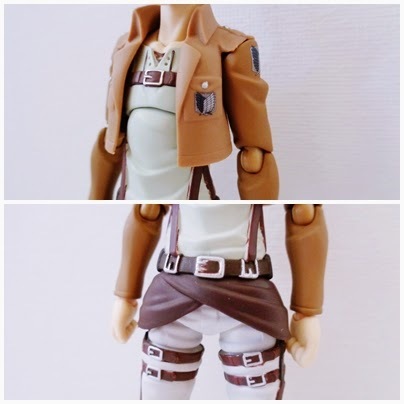 Eren is featured in his uniform which is pretty much the same for all the Attack on Titan figures. Once again the paint work is good and the detail of the emblems on his jacket are impeccable. And as per usual his articulation is great, everything you can expect from a figma. One issue with mine however is his chest joint is a bit loose so he always comes apart when I try and pose him. But this is an uncommon problem with the line. 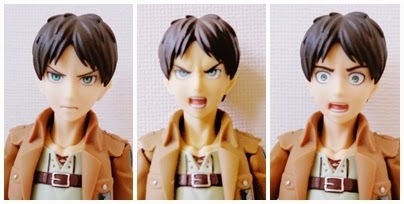 Eren comes with three faces all painted well and very expressive I particularly like the hilarious frightened face. 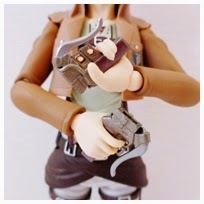 As for hands he comes with five pairs of hands including special ones for holding his weapon. 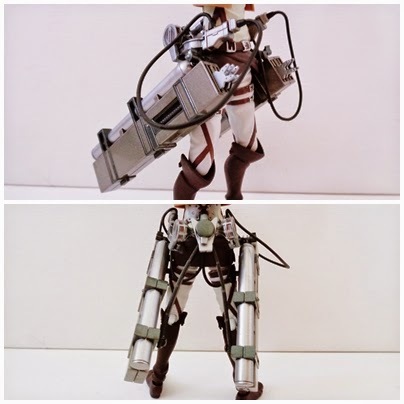 Eren's main accessory is the Vertical Manoeuvring Equipment which unfortunately can be rather annoying and fiddly to get on him and stay on him. As part of his equipment he has his duel blades, effect parts for shooting rope, and a smoke effect which attaches to the back. 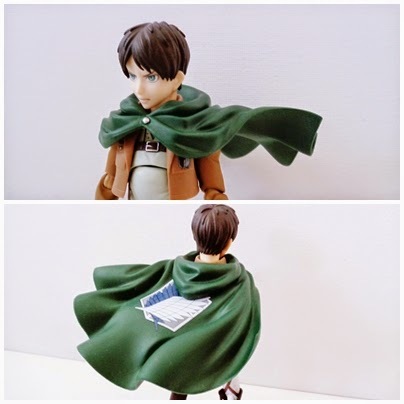 He also comes with his cloak. I do like windswept cloaks as it gives a sense of action to the figure however I wish that they would also start including static versions. 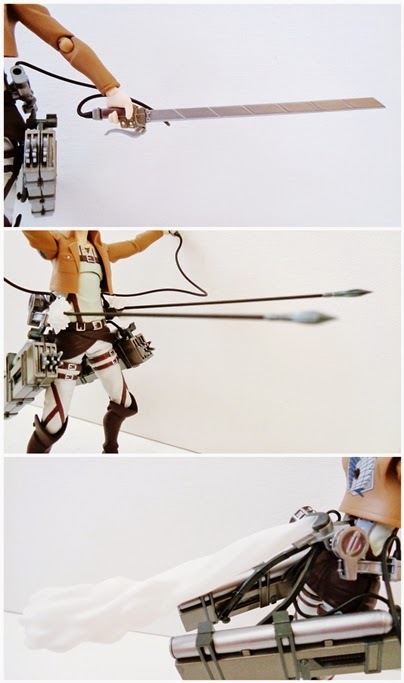 And finally Eren comes with actual rope pieces which attach to his equipment and then can be used to suspend him but in my experience this is near impossible, he keeps turning upside down just like in the anime when he is training. It is a nice thought and that's about all. Another nice thought is the inclusion of a spare joint for the hand and spare rope. 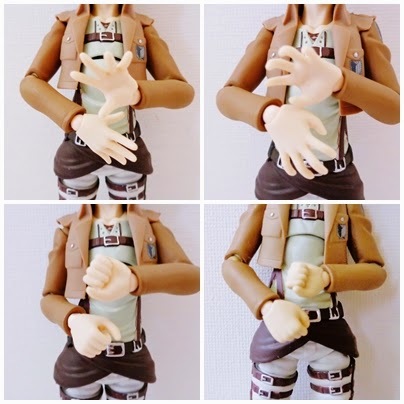 Over all Eren is a good figure a descent amount of accessories good articulation I think a definite get for any fan of the Attack on Titan series, especially if you already have Mikasa because they go so well together.